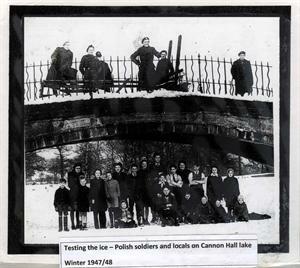 Cannon Hall Park was requisitioned by the War Office in 1940 to house a camp for the armed forces. 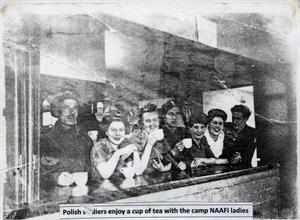 The camp was initially built as a tented camp in July 1940 to house British troops evacuated from Dunkirk. 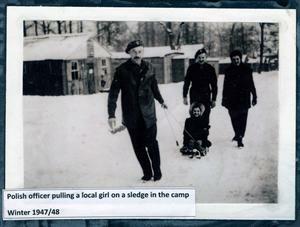 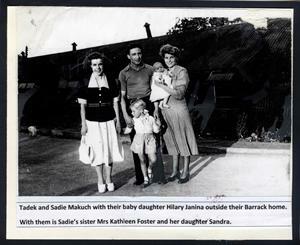 Over the following years it was replaced by more permanent buildings, paved roads, services and facilities. 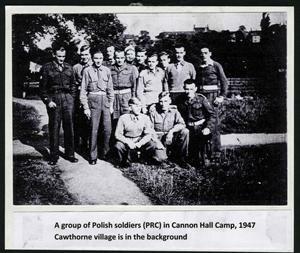 Over the period 1940 to 1949 the Cannon Hall Camp was home to different units of the British, Canadian and Polish armies and was sited alongside the centre of Cawthorne village. 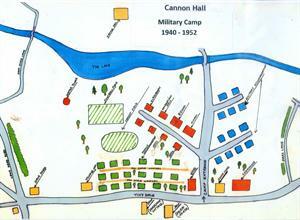 At peak times the camp housed around 1,000 troops, which had a significant impact on the life of the villagers. 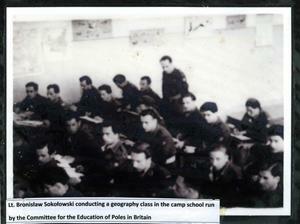 The end of the war saw some 250,000 Free Polish Armed Forces troops in Western Europe and the Middle East. 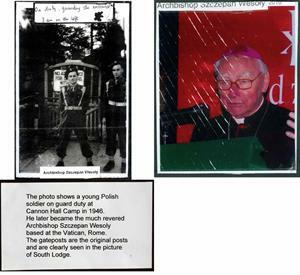 Many of these troops could not return to Poland because, either their homes in eastern Poland had been given to the Soviet Union (Yalta Agreement), or because they feared living under Communist rule in Poland, many having already experienced the horrors of the Soviet work camps. 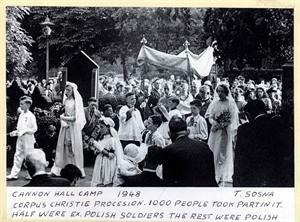 To accommodate the troops not wishing to return, in May 1946 the British set up the Polish Resettlement Corps (PRC), a non-combat unit of the British Army, which was designed to ease the Poles’ transition into British civilian life. 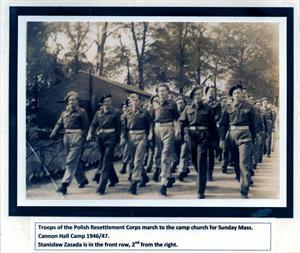 Members of the Free Polish Armed Forces, which were now being disbanded, were free to volunteer and sign on with the PRC. 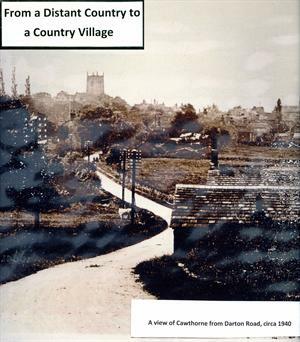 Around 140,000 joined up. 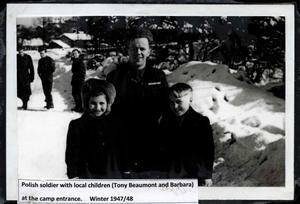 The PRC contracts were for 2 years, although a soldier was free to leave for a civilian job at any time. 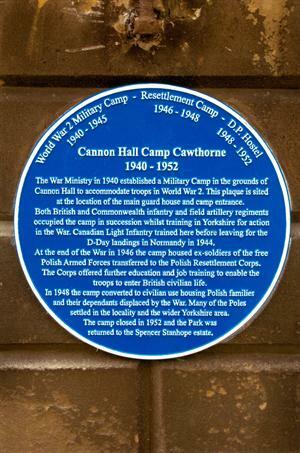 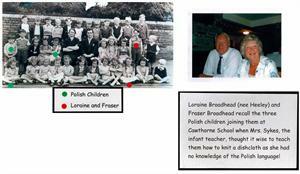 The Poles in the PRC were housed in some 300 camps around Britain – Cannon Hall, Cawthorne, was one of these camps. 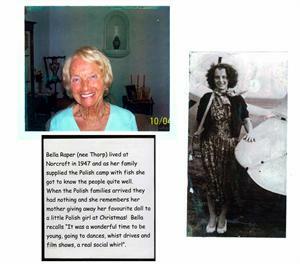 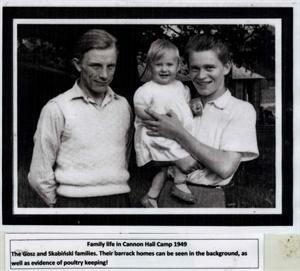 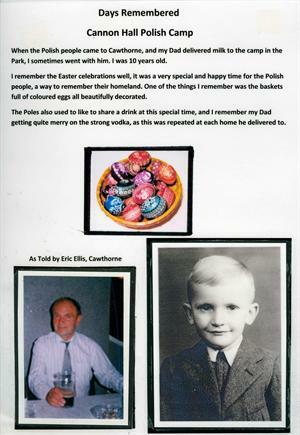 The following photos feature Polish soldiers and their families who occupied the Cannon Hall Camp post World War 2 1946 – 1952 when it was designated a Polish Resettlement Camp. 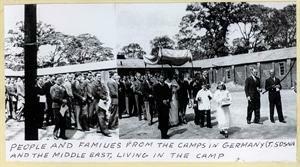 The Camp which previously had been ‘off limited’ to civilians when used as a Military Camp, became much more accessible to the public. 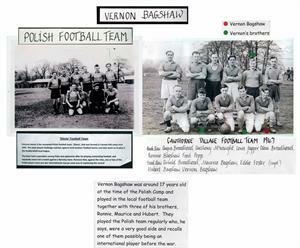 Locals were invited to visit and participate in a range of social and sporting activities. 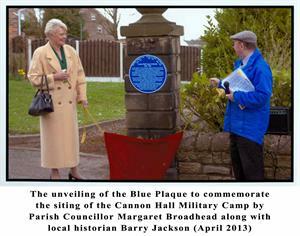 In April 2013 a blue plaque was unveiled to commemorate the siting of the Cannon Hall Military Camp by Parish Councillor Margaret Broadhead, along with local historian Barry Jackson. 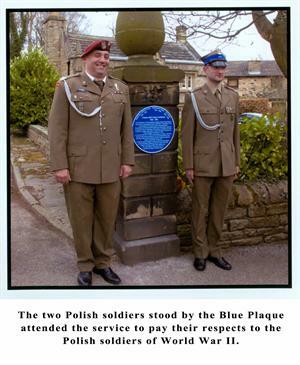 2 Polish soldiers also attended the service to pay their respects to the Polish soldiers of World War II. 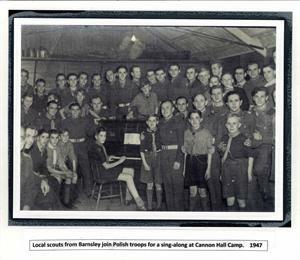 The plaque gives details of the history of the camp. 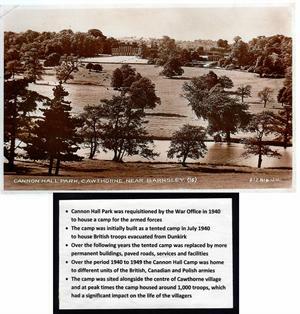 Cawthorne Victoria Jubilee Museum, which is in the middle of Cawthorne village, holds a comprehensive history of the Cannon Hall Camp, with many more photos and an explanation of why the Poles came to be in Cawthorne. 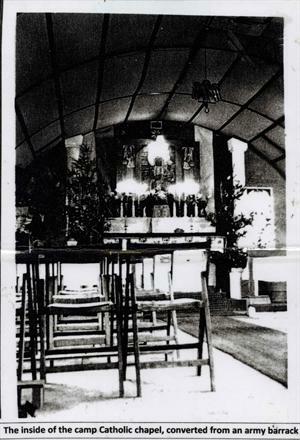 Opening Times: Saturdays, Sundays and Bank Holiday Mondays : 2pm – 5pm from Palm Sunday to the end of October.